We are taught that we should not talk about politics or religion in the workplace; however, as our nation is faced with intense political divide and the media streaming negativity, it is only natural that political discussions are showing up at work again. As humans, we desire connections and want to talk about our worldly concerns. But what happens when we realize that a friend or colleague belongs to a different political party, or supports ideas we do not believe in? It can be challenging not to judge them for their differing views causing unnecessary tension and stress. If instead, we intentionally choose how and with whom to have our political discussions, we can still maintain those bonds. This article will explore why and how to navigate the rocky waters of handling political conversations at work: in project team rooms, water coolers, the break rooms, elevators, bathrooms, and even when simply walking down the hall. Legal concerns. For example, discussions related to topics of the minimum wage, equal pay or paid leave could infringe upon Federal Labor Laws. Harassment or Discrimination suits could arise from careless comments regarding race, gender, or religion. Distraction from the job. Energy spent on heated political conversations distracts from the actual work to be accomplished. Division of teams. 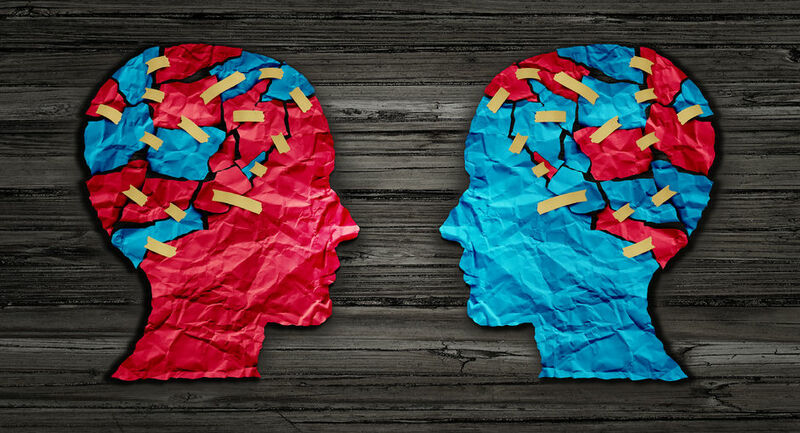 When we discuss political views in the workplace, teams can become divided along political "sides." I have seen this recently in my own firm, on one our project teams that interfaces with many other consulting firms and tension is building in the workroom from this division of views. Uncomfortable opposing views. Bottom line, workplace political banter can be uncomfortable, which is unnecessary. Work should be a safe and affirming place for us to focus on our jobs. Pivot the conversation to a work-related topic. For example, you might say, "I hear you. It's a different time than many of us have experienced before." Pause. "I wanted to talk to you about our upcoming deadline and what we need to do to complete everything in time." Or "Yes, I understand. I'm sorry to interrupt you...I have a task I need to complete and focus on right now." Acknowledge tensions as they arise. If a heated political discussion begins, interrupt and say, "Uh oh, things are getting a little tense here. How about we take a break from politics for a while?" Limit conversation engagement. When a conversation turns to politics, excuse yourself to use the restroom, grab some water, or walk around the office. Relate. Stick to neutral observations and impartial comments. "We can agree this scenario is difficult to comprehend on both sides." Or "I think we can agree this topic is debatable." These phrases help the other person feel heard without you personally stating your opinion or political preferences. Smile and nod. Saying nothing and listening -- genuinely, with curiosity -- is a sure way to stay in a safe conversation space. After a few minutes, you can politely excuse yourself by lightly saying, "Ok, time for me to get back to work." Honor your own boundaries. Decide not to engage in political discussions at work, then simply say "I've decided not to have political conversations at work. Let's give us a break to focus on something else for a while." Show respect. Even if you disagree, use one of the strategies above and be respectful. Never attack a co-worker's views, and remember that being kind is much more important than trying to convince someone you are right. To limit the impact of the current political landscape's negativity, try to focus on the areas that matter most to you, and choose carefully when and where you step into the political sea. Also, remember the importance of using your safe circle to discuss your political views.